Every year when the bad weather hits, gritters and Car Park Gritting companies like http://www.contract-gritting.co.uk are out and about making our roads and car parks as safe as possible. However, it seems that no matter how hard they work some areas of the country end up at a stand still with people not sure about travelling out in the snowy weather. 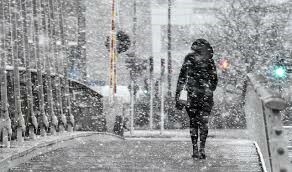 We are a country that experiences really bad winters once every few years and if it wasn’t for the gritting companies we wouldn’t even get out of our driveways and workplaces, but we always seem less equipped for this weather than our Scandinavian and other country counterparts. This may in part due to the fact that they are used to inclement weather and so have built their infrastructure and teach their drivers how to deal with thee types of weather. 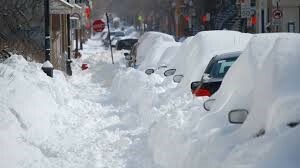 Here are some ways that other countries cope with snowy driving conditions. As a country Canada can experience around 200cms of snow fall each year making it one of the snowiest and coldest countries on the planet. In order to make driving safer they will also use snow-ploughs to clear the roads with individual car drivers using snow tyres and chains to help them grip the road. In order to allow the snow ploughs safe access to roads there are dedicated no parking areas on some roads during the winter season to enable them to clear a route quickly and effectively without the need to worry about cars being parked in their way. In Sweden they take driving in snowy conditions very seriously and to do so you have to abide by a number of driving regulations. These include fitting your car with specific winter driving tyres. The local authorities also have a legal obligation to ensure that the roads are cleared and safe to drive on and all business owners must make sure that the pavement around their place of business is safe to walk on – this may mean shovelling away the snow or regularly gritting the area. Due to the amount of snow that falls in Sweden during the winter just using salt or grit alone is not an option so many of the local authorities will regularly use snow ploughs to clear a path on the roads for vehicles to pass through. It is not just the roads that are better prepared in Sweden, the houses are also better insulated to help combat issues with the cold weather with many of them halving triple glazed windows. They also know how to wrap up warm with people not only having a summer coat but also having a snow grade winter coat that keeps out the cold breeze and freezing weather.